The words "Take off your hat, sky, I'm coming!" marked another Soviet first in space 50 years ago when 26-year-old cosmonaut Valentina Tereshkova blasted into space. It was another Soviet first in space 50 years ago — putting a woman in orbit. And 26-year-old Valentina Tereshkova carried her part with grace, shouting "Take off your hat, sky, I'm coming!" as she blasted off. President Vladimir Putin praised her during a meeting at his residence Friday, marking the anniversary of her flight, which came a little more than two years after the Soviet Union put the first man into orbit. Putin awarded her the Order of Alexander Nevsky for meritorious public service, one of the highest Russian honors. Tereshkova's three-day mission instantly made her a global celebrity and a poster image for Soviet space glory. Two Women Space Commanders: What Took so Long? However, behind the scenes there were strong concerns about the flight and Tereshkova's account of the mission differs dramatically from recollections of other veterans of the nation's space program. Recalling her flight, the 76-year old cosmonaut says she felt no fear despite what she described as a glitch that might have stranded her in space. Others have faulted her performance and questioned whether she was able to deal with an emergency on descent. Soviet space officials started considering a space mission by a woman soon after Yuri Gagarin's flight in April 1961, seeing it as another chance to advertise the nation's prowess. To make the mission even more spectacular for propaganda purposes, Moscow decided to score another first by making it the first simultaneous flight of two spaceships. Valery Bykovsky blasted off aboard the Vostok-5 ship on June 14, 1963, and Tereshkova followed him on June 16. 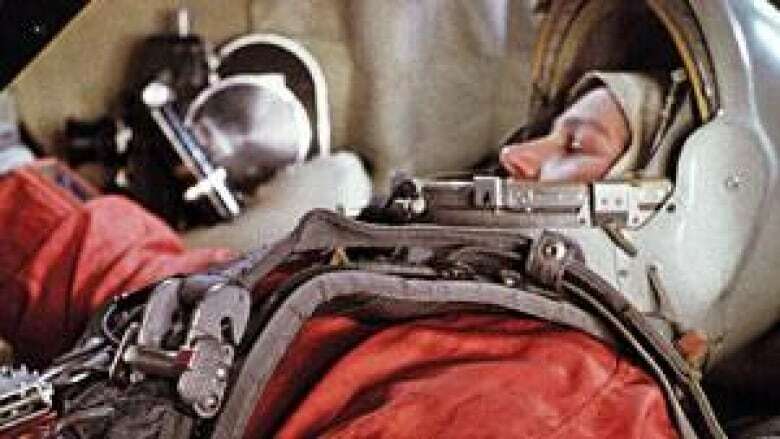 Tereshkova, who was given the call sign of Chaika (Seagull), blasted off faultlessly and stayed in good shape until day two, when flight controllers noted that she was slow or unable to fulfill their commands and looked tired and unresponsive. "She sounded apathetic in conversations with ground control," Vladimir Yazdovsky, the chief doctor of the Soviet space program wrote in his memoirs. "She largely limited her movements and kept sitting almost motionless." 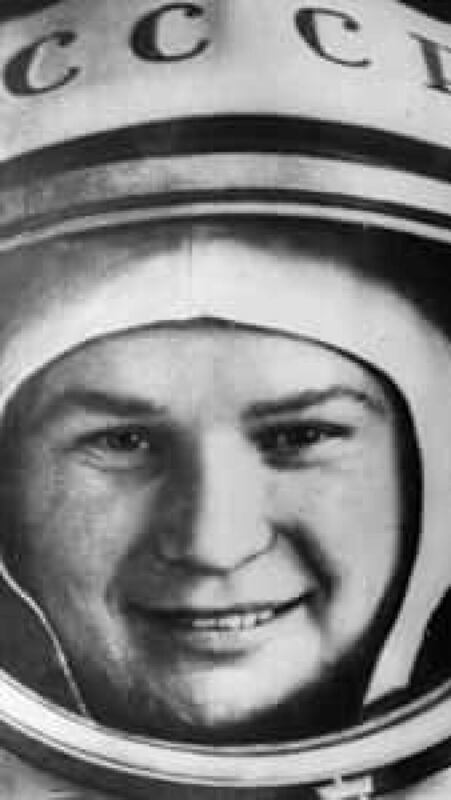 Yazdovsky said Tereshkova felt unwell because of weightlessness, and Sergei Korolyov, considered the father of Russia's space program, was so concerned about her condition that he suggested an early landing. Officials decided, however, to stick to the original plan for a three-day mission. Korolyov's deputy, Boris Chertok, later recalled in his chronicle of the Soviet space program that worries about Tereshkova were exacerbated by her failure to properly align the ship during a simulation testing her ability to perform a manual landing in case of autopilot failure during descent. Her ship landed faultlessly in automatic mode on June 19, 1963, but Chertok said that Korolyov and others spent yet another agonizing moment when Tereshkova failed to communicate with ground controllers during the descent. Tense moments of Tereshkova's mission remained hidden from the public until the Soviet collapse when top figures in the space program spoke about it for the first time. Tereshkova dismissed all the talk about her feeling unwell during the flight as groundless speculation. Tereshkova told reporters last week that engineers made a mistake in designing the ship's controls, which would have left her stranded if she hadn't noticed it in time. "It was programmed to raise the orbit instead of landing," she said. "I put the new data in and it worked fine." She said she kept the promise and only spoke about it because a space engineer disclosed the glitch in 1993. Chertok and other top figures in the Russian space program told a sharply different story, saying that Tereshkova simply couldn't pilot the ship in manual mode during in-orbit training. Chertok recalled Tereshkova's meeting with engineers focusing on the issue that involved a private conversation with Korolyov, from which she emerged teary-eyed. Doctors also had their share of complaints. Yazdovsky wrote that after landing in the Altai region in southern Siberia, Tereshkova drank horse's milk and ate food offered to her by local farmers, giving them what was left of her space ration in violation of medical regulations. He also claimed that Tereshkova cleaned the mess on the ship after her landing and made retrospective entries in the ship's log, making it impossible for doctors to objectively evaluate her condition. Tereshkova received a hero's welcome after the flight and was showered with awards. A few months later she married cosmonaut Andrian Nikolayev with Soviet leader Nikita Khrushchev presiding over the wedding party. Tereshkova moved on to an official career, holding various jobs and honorary titles. She now holds a Parliament seat on the ticket of the main Kremlin party, serving as deputy chairman of the foreign affairs committee in the lower house. Is American astronaut Karen Nyberg the next Chris Hadfield?